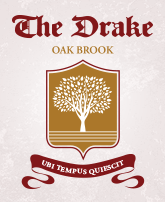 My wife and I own the Drake Oak Brook Hotel. 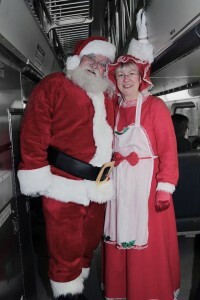 Last year we hired Bob and Carol as Santa and Mrs. Claus. The results speak for themselves. Last year we had 150 people show up. This year close to 700. All of this was through word of mouth. Bob and Carol were the best Santa and Mrs. Claus we have ever seen. The parents were thrilled. We can’t say enough in terms of how happy we are with their performance. 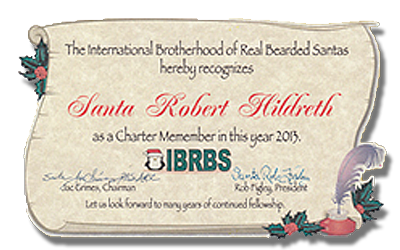 I have hosted 3 corporate / family holiday parties over the past 2 years and utilized the services of Robert W. Hildreth, aka “Santa” and Carol L. Hildreth, aka “Mrs. Claus”. 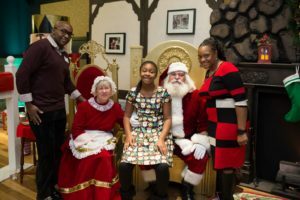 After the 2015 party of 180 guests, there was no question that when I needed Santa for a party of 215 guests and 275 guests in 2016, that the pair would be my go-to for the North Pole. The pair are warm, friendly and genuinely interested in bringing joy to children of all ages. They helped us distribute gifts to the employee’s children and spent time with each to make sure that they had the full Santa experience. This is not your average mall Santa. Robert has wonderful full real beard and an authentic wardrobe that brings him into character. 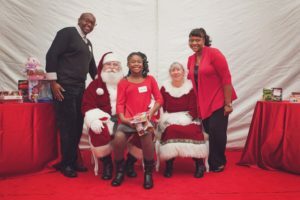 All our photo opportunities came out delightful and were perfect for making holiday cards for distribution. Many guests were delighted to see them again for the second year and amazingly, they remembered many of our guests as well and greeted them accordingly! 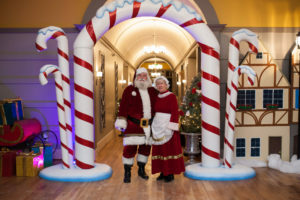 Santa & Mrs. Claus arrived ahead of time to get the layout of our event and when they were done with the photo opportunities in the Santa Living Room that we set up for them, they joined our party guests in the main dining room to engage with guests they did not meet earlier. Everyone had rave reviews and we look forward to future events with them.